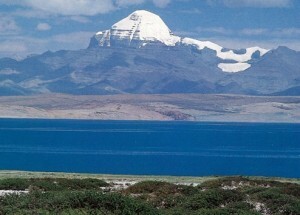 The Kailash Manasarovar Yatra is being organised by the Ministry of External Affairs from end of May/early June to September 2011. The Yatra is open to all Indian citizens who have attained the age of 18 years but have not completed 70 years of age as on 01.01.2011 and who wish to proceed to KailashManasarovar for religious purposes. examination and complete financial formalities. September, Batch 16 : 27th August – 25th September 2011. PASSPORT valid for more than six months as on September 1, 2011. (a) Rs. 27,000/- (inclusive of Service Tax) to be paid to Kumaon Mandal Vikas Nigam (KMVN), out of which Rs. 5,000/- is to be paid as a non-refundable deposit when confirming participation in the Yatra, and the balance amount on arrival in Delhi to begin the Yatra. applicant is not able to undertake the Yatra eventually due to disqualification on medical grounds. baggage, ponies and other items required for the Yatra. 6. 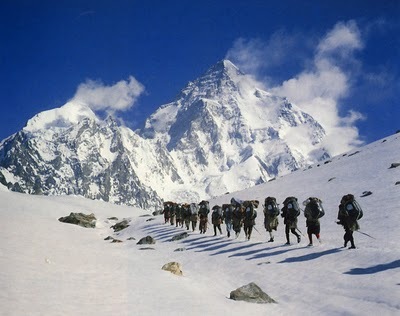 Yatra is extremely arduous (more than the Vaishnodevi / Amarnath routes), involves trekking at high altitudes upto 19,500 feet, under inhospitable conditions including extreme cold and rugged terrain and may prove hazardous for those who are not physically or medically fit. The Indian Mountaineering Foundation has recognised the Kailash Manasarovar Yatra as a trekking expedition. There is a considerable element of risk to life and property. 7. Please note that Government shall not be responsible in any manner for any loss of life or injury to the person, or any loss or damage to the property of the Yatris due to any natural calamity or due to any other reason. Pilgrims undertake the Yatra at their own volition, cost, risk and consequences. KMVN also provides insurance against accident during the Yatra for each Yatri through United India Insurance Company Ltd. for an amount of Rs. Five lakhs. Government shall not have any obligation to bring the mortal remains of the pilgrim across the border for cremation in the Indian side, in case of death on the Chinese side. All Yatris are, therefore, required to sign a Consent Form for cremation of mortal remains on the Chinese side in case of death. Annex-A of this circular for reference. 9. A second medical test to ascertain reactions to altitude trekking will be done by ITBP at Gunji, after 5 days of the Yatra, at a height of 3500 metres. Those Yatris who are found medically unfit here will not be permitted to continue the Yatra. The finding and the recommendations of the ITBP medical personnel both in Delhi and Gunji will be final and binding. In the eventuality of a Yatri being disqualified on medical grounds at Gunji, it will not be possible to refund the charges levied by KMVN. 10. Complete applications in the prescribed format given below should be sent to Attache (China), China Registry (KMY), Room No. 255-A, South Block, Ministry of External Affairs, New Delhi-110011 latest by Friday March 11, 2011. For acknowledgement of receipt, please attach a self-addressed post card with the application. Applicants are advised to send their applications by Speedpost or Registered India Post. 11. The selection of Yatris will be done by Ministry of External Affairs through a computer-generated random gender-balanced selection process. Selected persons will be informed about their inclusion in a particular batch 3-4 weeks before their scheduled departure. Spouses will be automatically selected (provided he/she has also submitted his/her application for the Yatra and this fact is clearly indicated in the relevant column of the application form) subject to clearing the medical test. Selected applicants will be required to confirm their participation in a particular batch by sending a non-refundable demand draft of Rs. 5,000/- in favour of KMVN to Ministry of External Affairs by a specific deadline. It is the individual’s responsibility to ensure that application contains accurate information and that it is complete in every detail including date of birth. Wrong information in the application form will be ground for disqualification, even after selection has been confirmed /Yatra has begun. Total deposit paid to KMVN will be forfeited. After receiving the telegram announcing the preliminary selection, confirmation that the selected Yatri can travel, should be received in this Ministry before the stated deadline, otherwise it will be presumed that the selected Yatri cannot travel, and he or she will be replaced from the stand-by list. Failure to pass the medical examination at Delhi and in Gunji will be ground for disqualification. Medical certificates issued by any source other than the ITBP doctors at Delhi and Gunji will not be accepted. If a Yatri is disqualified on medical grounds at Delhi, he or she will forfeit the non-refundable deposit paid to KMVN. If a Yatri is disqualified on medical grounds at Gunji, he/she will forfeit the total amount paid as Yatra fees to KMVN. The Yatra groups will leave on the scheduled dates even if replacements called from the standby lists to fill any vacancy that may arise, is unable to join the group in time. 13 Without prejudice to the foregoing, all claims, disputes, differences shall be subject to the jurisdiction of Courts in New Delhi only. 14. Details on the Yatra may also be seen at www.mea.gov.in. Facility of online application generation is also available on this website till March 04, 2011. However, the application will be accepted only after the print-out of the online application and declaration duly filled in and signed by the applicant, along with two photographs and a copy of personnel particulars page of passport are received at the Ministry of External Affairs on or before March 11, 2011. If you have not decided yet or wants to customize tour itinerary or hotels listed above in "Kailash Manasarovar Yatra Package by KMVN Rs.27000/-", then we can change the travel itinerary and make a personalized, tailor-made holiday package, especially for you. We can modify this travel package as per your itinerary, budget, duration and the tourist places you would like to visit, including transportation and airfare should be included or not. Please fill the form below to contact us. I had applied for KMY. I checked online i am selected for 4th Batch my waiting number is 43, its confusion when i am selected then what is waiting Number. will my Number 43 conform for yatra. one my friend is in 6th batch waiting Number is 11. How many numbers remains in waiting for each batch. what is system for waiting number please can you explain? If supose my waiting number not conformed then what will happen? will sent for next batch.? Any body selected in this batch? We want to visit Kailash Manasarovar, May I know is the Yatra starts from Hyderabad and what is the charge for one adult. It included everything are should we pay any extra charges there. roughly what will be the total cost of the journey. please let me know as early as possible. price of delhi tokalash Mansarovar yatra .